It has been a couple of weeks now since mKey was launched in Kenya by Finserve Africa, the fintech subsidiary of the Equity Bank Group. mKey is currently an Android mobile app and keyboard that enables a digital consumer lifestyle under-pinned by innovative mobile financial services and social media enablement. To fully appreciate the outsized ambitions and potential of mKey as a disruptive mobile consumer offering, one has to look to the East to see how well WeChat has performed in China. WeChat is a multi-purpose messaging, social media and mobile payment app (similar to WhatsApp and Telegram) from the super successful Chinese technology company Tencent. WeChat, as of this writing has over one billion users! What makes WeChat interesting, relative to mKey, is that it’s also known as China’s “app for everything” and a “super app” because of its wide range of functions and platforms. WeChat is essentially integrated into all manner of digital services available to consumers in China so that you never have to leave it to do anything from hailing a taxi to doing your mobile banking. This also means that WeChat handles an obscene volume of financial transactions by being one mobile app to rule them all! Using the rationale of how WeChat works in China as above, It would appear that this is more or less exactly what mKey is attempting to achieve in Kenya and the other 6 African markets it will roll out to later this year. mKey is attempting to become the WeChat of Kenya (initially) and Africa thereafter. mKey wants to be the one mobile keyboard you use for your digital lifestyle on your mobile device. Initially, when I first heard about mKey and the approach of using a keyboard, I found it to be a peculiar approach to rolling out a lifestyle mobile app since this would normally be a standalone mobile? However, if you think about it, the genius is that a keyboard is an essential input interface on any mobile device. This means that when you install mKey, its keyboard becomes your interface to ALL your mobile apps and therefore is instantly accessible at all times. mKey has 2 levels of registration when you install it. The first requires you to use your Facebook or Google login credentials to get started. This level of registration is straightforward and does not require too many details. The second level of access is more involving since mKey is basically a mobile bank? One of the most important aspects of getting signed up is identifying who you are, officially. Therefore, an mKey account can only be fully activated when you to register using your national Kenyan ID number, passport number or Aliens ID number via Integrated Population Registration System (IPRS) validation. This all happens online thankfully so no need whatsoever for paperwork as per typical KYC requirements. mKey also validates your phone number as you sign-up as a security measure. Once your up and running and your mKey account is active, one of the first things that you will notice is that the user experience has is what is known as ‘gamification’. Gamification, as per Wikipedia definition, is ‘the application of typical elements of game playing (e.g. 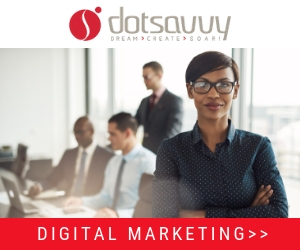 point scoring, competition with others, rules of play) to other areas of activity, typically as to encourage engagement with a product or service’. 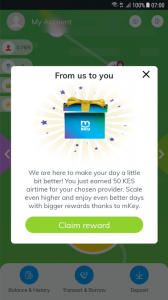 What makes mKey really interesting is that the more you use it, the more it rewards you with actual money as well as other ‘points’ that you can redeem for products and services within the app. As far as I know, this is one of the few (if not only?) mobile banking enabled apps in Kenya that is able to do this. Naturally, the intent of adding gamification to mKey is to make it as ‘sticky’ as possible for users since they are compelled to use it more frequently that they otherwise would in exchange for the assurance of getting some additional value back! I also like the way the ‘user journey’ metaphor has been used to represent the said gamification features in mKey since it shows you what looks like a curvy path with milestones along the way depicting different rewards for engagement – if you so choose to take them. It’s a simple and easy to understand interface and I can assure you that many people must be playing around with this feature! We love this sort of thing as consumers in Kenya. At the core, mKey is a financial services offering so this is where it really comes alive. Many of the financial features that are available in mKey are possibly only possible due Finserve’s direct relationship with the Equity Bank Group. This is part of the game changing formula that could really make mKey disruptive! One of the easiest ways to fund your mKey account whether or not you are an Equity Bank customer is to use Safaricom’s M-Pesa. All you need to do is send money to the designated pay bill number for your account and it is instantly topped up. However, it’s also possible for Equity Bank customers to ‘top-up’ their mKey account using bank-based transfer. mKey is also integrated into other mobile networks and financial service providers for a seamless cashing in and cashing out as required. 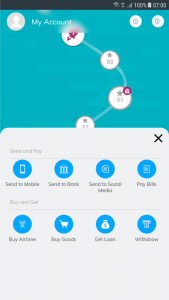 As you can see above, these are pretty much the majority of the kinds of transactions that any consumer would need to make in a mobile banking app. You can imagine a scenario where you use mKey for all your transactions given that it is well integrated into Finserve’s technology back-end as a fully fledged mobile banking app. 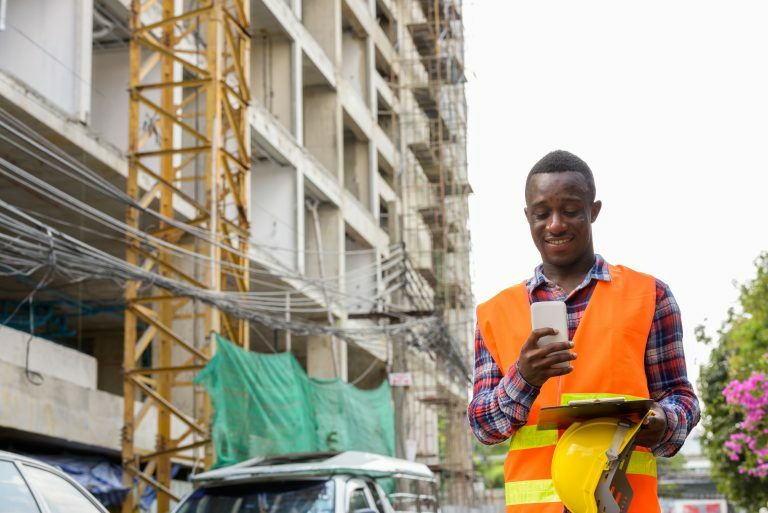 For instance, I love the way for you can pay for bills without having to know the pay bill or buy goods numbers of the vendor as this information is pre-populated in the mobile app – making it time saving and a great convenience for the majority of mobile money users in Kenya. mKey Loans for Everyone, Big & Small! One of obvious killer features of the mKey keyboard is loans. mKey is good for loans from as little as Kes. 300.00 to as much as Kes. 1,000,000.00. Looking at the upper limit of mKey loans, this is substantially higher than what you can get on other mobile loan apps like Tala and Branch. However, before you can take a loan, mKey takes the step of establishing your loan limits prior by probably(?) 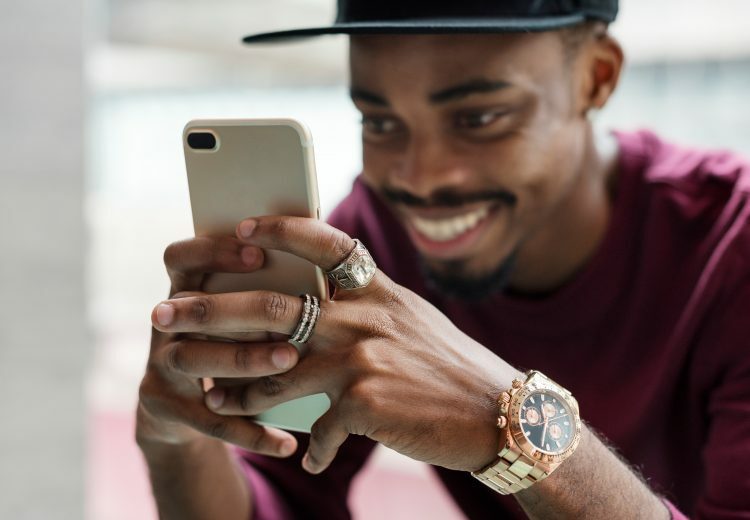 using a combination of Equity Bank’s first-party customer data and/or third-party data from credit reference bureaus as well as past mobile money transaction history on your mobile device to establish your credit score. Once this is done, loans can be disbursed in a matter of minutes, if not seconds on mKey. 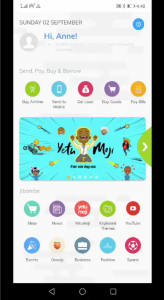 One just has to take a look at how popular mobile loan apps are in Kenya on Google Play to get a sense that its a no-brainer that mKey has jumped into this space. This mirrors the same trend we are seeing with other banks like Housing Finance and Barclays Bank launching mobile loan offerings as well in the last few months or so. 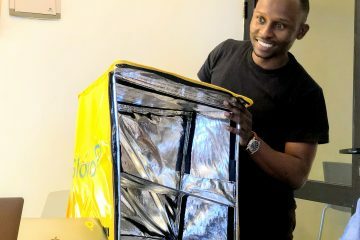 This is a burgeoning area of financial services in Kenya enabled thanks to the popularity and ‘liquidity’ of mobile money in Kenya, and especially for the ‘unbanked’ and the youth who tend to be locked out from mainstream financial services. 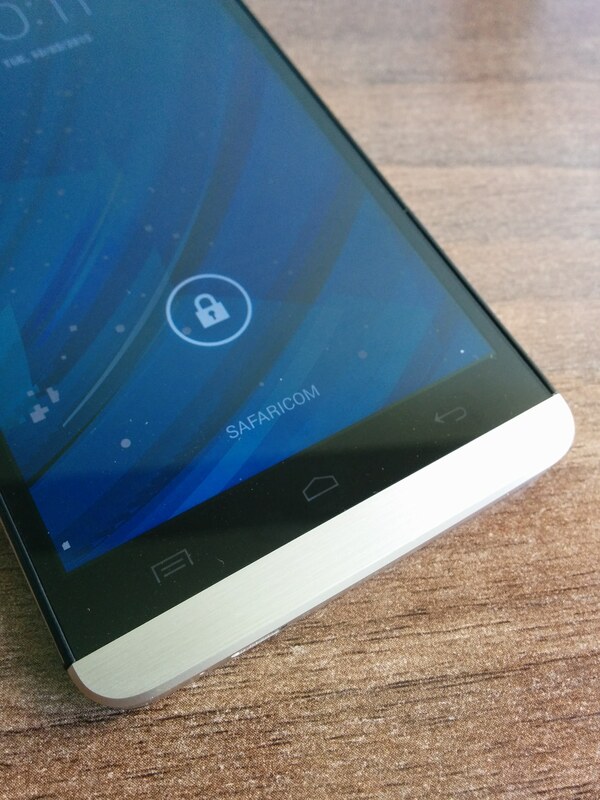 It does not hurt as well that Equitel, which is Finserve’s mobile virtual mobile network or MVNO, plays in this space too. The convergence is real! Savings groups or ‘Chamas’ are incredibly popular in Kenya. However, the process of managing finances and also saving together tends to be messy and fragmented in most instances? Yes, there are service providers in Kenya that have built cloud platforms and mobile apps specifically to tap into this opportunity area but as far as I know none that has existed within the same space as a mobile banking and financial services app like mKey. 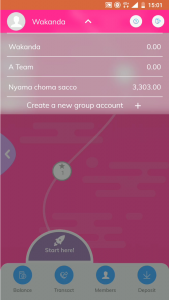 Given that mKey is ‘all about the keyboard’, this means that you can create your savings group within the mKey mobile app itself or even use existing WhatsApp group(s) to do the same. I think, this is massive given that you don’t have to migrate details at all and can run the same savings features from within what is already familiar and established with the likes of WhatsApp. 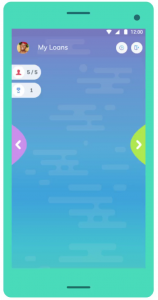 One of the best features of the groups is that they too can be rewarded for transactions and other ‘actions’ within mKey so once again gamification is utilised in this respect. Apart from savings and contributions, chamas can also pool bill payments together within mKey. How cool is that! It reminds me of the Venmo mobile app which pioneered this feature with millennials in the US. This is now possible within mKey. You can have multiple savings groups or ‘chamas’ within mKey so this is super handy for short-term or long-term groups. Consider scenarios where a group needs to pool funds to pay for something immediately like a bill or a long term goal to save for a much bigger investment. This could be a killer feature of mKey going forward. Jibambe is one of the more peculiar aspects of mKey. Basically, this is where you can shop for goods and services as represented by mKey partners and merchants. This is one of the areas of mKey that is most similar to WeChat in that by having a virtual marketplace built right into mKey, a user may never have to consider leaving the mobile app in getting things done. 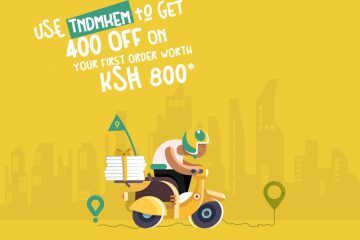 mKey already has the likes of popular e-commerce platform Kilimall available and payments can be made directly within the app. The other aspect of the Jibambe section of mKey is access to the latest news content from various sources. This content ranges from sports to business, and everything else in between. In a nutshell, Jibambe can also be your source of all things news and information from right within the mKey in a seamless and integrated manner. 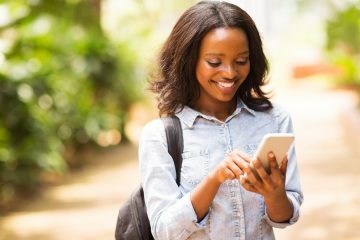 Just like mKey has gamification features baked right in, Jibambe is yet another aspect of the app that is designed to increase its ‘stickiness’ for users. It would be interesting to see if Jibambe on mKey could eventually evolve into a fully-fledged digital content offering featuring over the top (OTT) content like on-demand TV and video streaming. Time will tell how far this concept can be stretched! YetuMoji is one of the features of mKey that took a big part of the presentation that was made at the launch a few weeks ago. In a nutshell, what mKey has is a unique and original version of emoji that are localized and contextually relevant to Kenyans and Africans. This is really ambitious given that regular emoji are already so well developed and diverse at the same time globally so standing out and gaining traction at the same time could be a huge challenge. However, I get it! YetuMoji is essentially a ‘Kenyanised’ or Africanised version of emoji that takes into consideration how we communicate with all our African nuances. 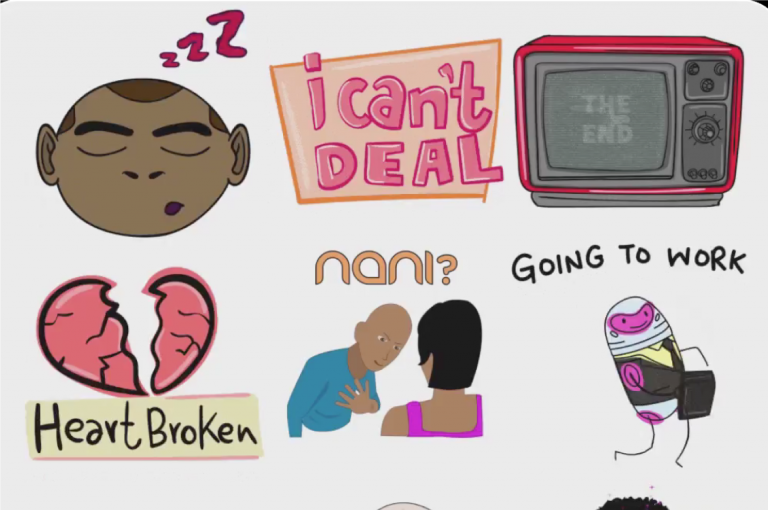 It’s a different dialect of emoji! Some YetuMoji are so on point from a Kenyan perspective its both hilarious and painful at the same time. I am really keen to see how well they do going forward and whether YetuMoji have the potential to go mainstream, globally! I can’t really get into all the specifics but basically mKey is as secure a mobile app as they come and the same also adheres to some of the highest standards of privacy. This is especially important given how sensitive these issues have become for consumers on a global basis, and not just in Kenya, where new digital laws are coming into play more and more frequently. mKey, given its strong affiliation with Equity Bank via Finserve means it comes to market backed by a strong ecosystem of partners. This means that mKey, from the get go, and thanks to aspects of integrations via Finserve’s Jenga APIs, mKey is plugged into VISA, MasterCard, Microsoft, World Remit (for remittances) and others. This ensures that mKey has features and functionalities that hitherto have not been seen yet in a mobile financial services app in Kenya. There is lots of new ground that mKey is breaking and this could be a massive differentiator for the mobile consumer experience going forward. As mentioned at the start of this blog post, Finserve has big plans for mKey with a roll-out plan that will include 6 African markets by the end of 2019. Finserve is also making mKey open to being integrated into other financial service providers like banks which could be a tough sell for some of them given the highly competitive nature of the industry – disruptive thinking is required! Finserve also plans to launch an iOS version of mKey before the end of year which is really key if they want it to become truly global from a user perspective since there are clearly many possible use cases for consumers who are in markets outside Africa like the US and Europe where iOS is more often than not the preferred mobile OS for the majority of consumers. Its logical that many Kenyans and Africans in the Diaspora will welcome mKey as a key channel for them to remit money to loved ones at home as well as other essential financial services. There is also a plan for mKey to be opened up to designers and developers so that they can develop new YetuMoji and bespoke plugins or widgets for the mobile app. This latter bit is especially important so that additional ecosystem partners can get in on the action and improve the utility of mKey as well as attract more consumers in the spirit of network effects. I can imagine a scenario just as is the case with WeChat in China where mKey could become the centre of your mobile lifestyle, enabling all sorts of possibilities on a daily basis which would make it indispensable for consumers. This is obviously the ‘holy grail’ that mKey is aiming for and from where I am standing Finserve may have the audacity to actually pull it off, given their disruptive DNA!